One might think that the dragonfly season would be over — not so. Seen here are (what I believe are) lance-tipped darners mating three days ago. The male (more bluish) is the one above, while the female (yellowish head and thorax) is the one below. He is holding her by the back of the head, and she has placed the tip of her abdomen at his secondary sexual organs. 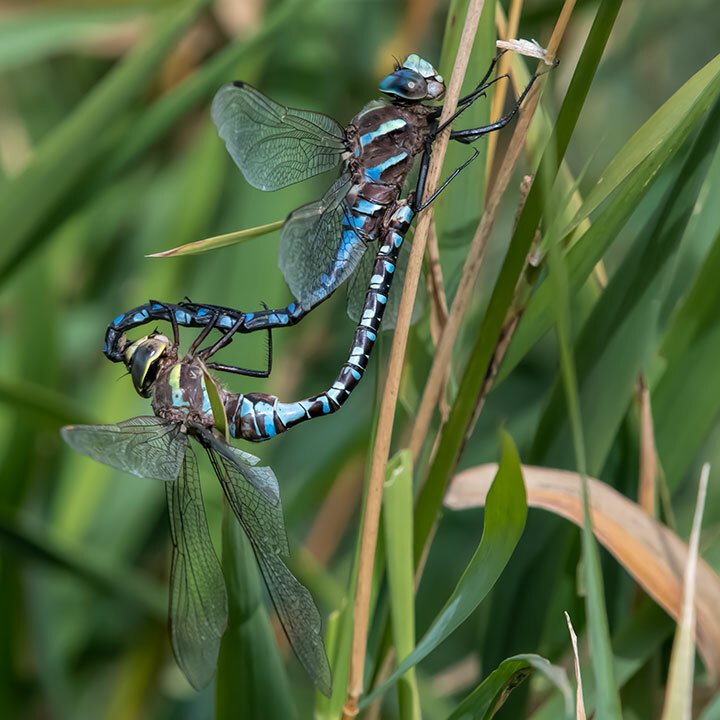 A couple of darners coupling. No darner intimacy privacy from Alistair’s lens! Thanks for the up close views of their beautiful colour and intricate wings.